Shehrazad is considered to be one of the most profitable investment opportunities in Islamabad due to high rental and retail value. 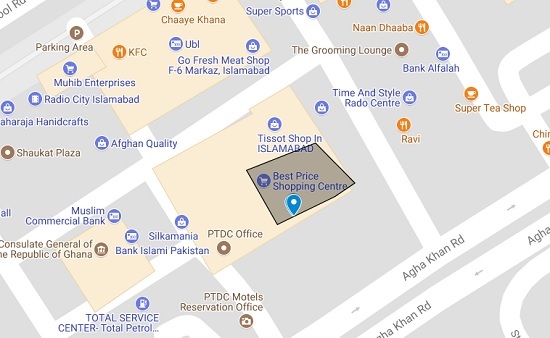 It is an atrium shaped building comprising LG, G+3 and Roof and spread over 23,400 square feet area having a total corporate & shopping space of 117,000 square feet. As you can see on the map, Shehrazad is ideally located on Agha Khan Road in F-6 Markaz. It is 2 minutes away from Marriot Hotel, and 7 minutes from Parliament House. All major landmarks of Islamabad are within easy reach from F-6 Markaz including Faisal Mosque, Blue Area and Margalla Hills. 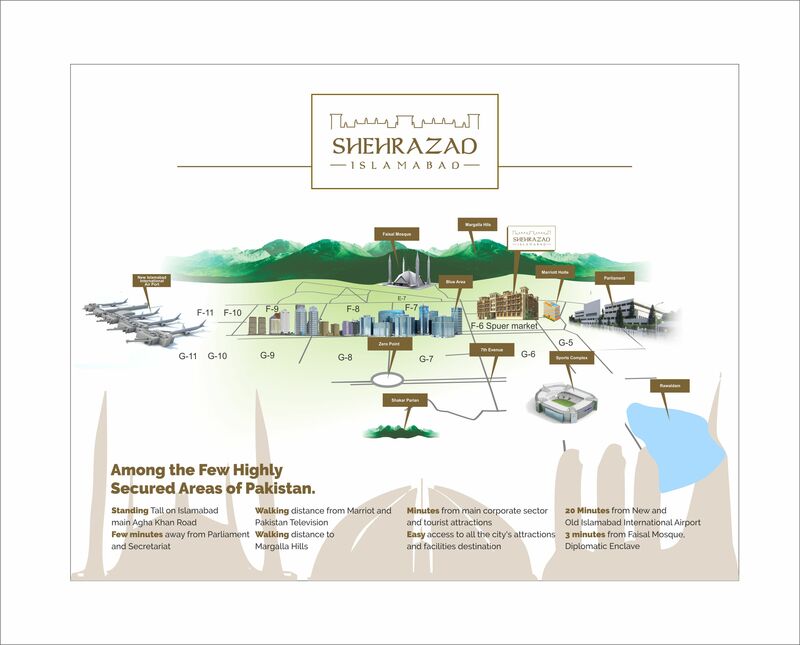 Shehrazad is once in a life time opportunity that offers a secured investment in the premium commercial hub of Islamabad that guarantees high return on investment with steady and continuous value increment. There are very limited units available for bookings on each floor, so it is recommended to act fast and reserve your high yielding unit in Shehrazad. The project has been formally launched on 23rd March 2018, and bookings of commercial & corporate units are available on first come first served basis. The payment plan shared by the developers includes prices and payment plan for 200 sqft units on each floor. You can check the availability of other unit sizes from the developers. Rats/sqft have been mentioned on the payment plan, so you can calculate the value of each unit, and compare with other projects in the same neighborhood. 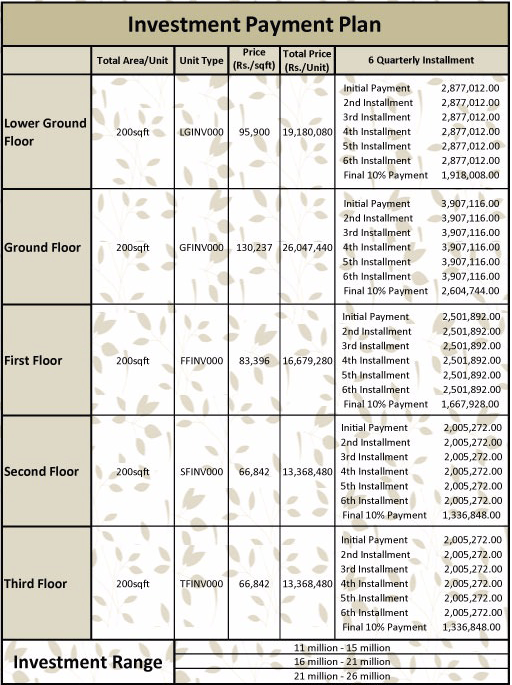 As you can see on the payment plan, you have to make 6 payments of 15% each,and last payment of 10% will be due on completion and handover of unit. 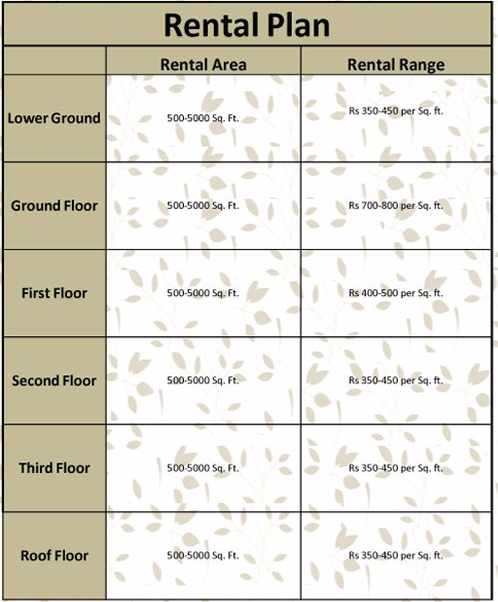 Shehrazad also offers the leasing option, and it has mentioned rates/sqft for each floor. After completion of full payment, the company will pay the rent as decided in the terms of agreement during the booking. You can also sell out your unit any time in future after obtaining possession or after receiving NOC from the builder if you want to sell during installments term. Should you require any further information on Shehrazad Islamabad, you can contact the developers at the given numbers. Alternatively, send us an email at marketing@manahilestate.com for further assistance.